Storelectric is to build a large-scale compressed air energy storage site in the Netherlands, after winning an international competition. 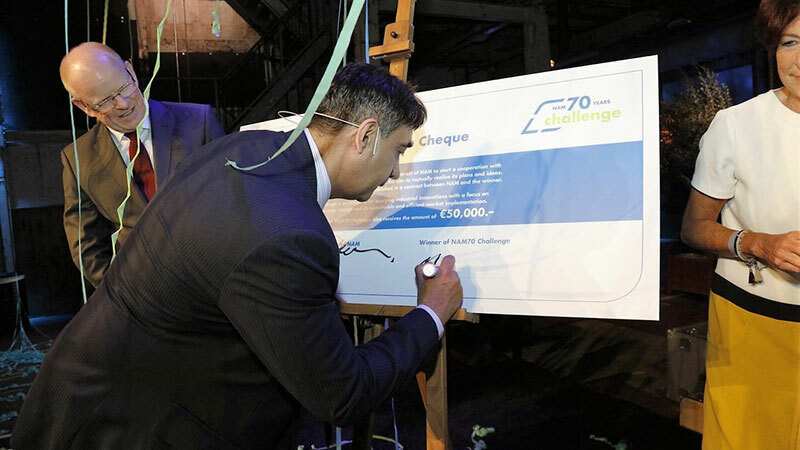 The UK start-up, which proposes storing energy via compressed air in underground salt caverns, was recently crowned the winner of the NAM70 Challenge, run by Dutch energy company NAM. As well as a €50,000 prize, Storelectric will now partner with NAM, which is jointly owned by Shell and Exxon, to investigate the idea of re-purposing oil and gas infrastructure for use in energy storage. They aim to build underground storage sites in the Netherlands and potentially the North Sea, to store energy from offshore wind farms and onshore solar power plants. Compressed air energy storage (CAES) is not itself a new technology and has been operating at a site in Germany since 1978, and at a plant in Alabama in the US since 1991. At CAES plants, excess electricity, for example from intermittent renewable energy sources, can be used to compress and store ambient air under pressure in an underground cavern. Then, when electricity is needed, such as when the wind is not blowing, the pressurised air can be heated and expanded in a turbine to generate electricity. However, as the air is being compressed it heats up, and this heat must be removed before it can be safely stored, according to Jeff Draper, director of Storelectric. Such plants then use natural gas to re-heat the air as it is expanded, reducing the overall efficiency of the process. So instead, Storelectric stores the heat removed from the air during the compression stage, and uses it to re-heat the air again during the expansion stage, a process known as adiabatic CAES. Winning the NAM70 Challenge will provide Storelectric not only with funding but also with access to NAM’s engineers, helping to push the technology forward, according to Draper. “This kind of geological solution (to energy storage), is closely aligned with the oil and gas companies,” he said. Good news, a much needed development in energy storage at sensible scale. The German and US projects were successful in a very different economic and environmental situation and show that the technology can be successful in a situation where the need for storage has increased very greatly. Hope that the UK goes for this also, noted that we are developing the liquefaction based storage, but we need massive storage and have many big caverns that could suit this. Loved this article! It is such a positive thing that Storelectric is doing for the planet! Well deserved win.